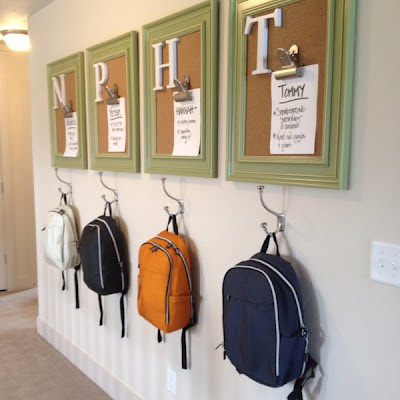 MOM Tip: Here is a great idea for organizing backpacks when you don’t have a mudroom or floor space. I love this idea of a cork board for all the school papers and you could include a calendar for all of their activities too. Click here to get this tip from Goodness by Crafty Southern Mama.